We had takeout Japanese food last night. What to do with the leftover rice and miso soup? In Japan, they often have these for breakfast with some fish. No fish in the house, so I popped in a beaten egg and made the soup into an egg drop miso soup. I jazzed up the rice with furikake topping. Can't forget dairy and fruit, which explains the blueberries topped with Greek yogurt (and mountain honey). Coffee is a must. I had an oeuf en cocotte with za'atar and tomato paste, accompanied by onion rye toast soldiers. My side was Greek yogurt with blueberries. Coffee, of course, to drink. Metaphysically and physically, why am I here? My recipe for chili usually is a recipe for Kentucky pool hall chili buns that I read in Esquire magazine many years ago. See below. My friends like this looser no-beans less-tomatoey chili. For tomorrow's Super Bowl party at Harry and Barbara's house, I decided to shake it up a bit. 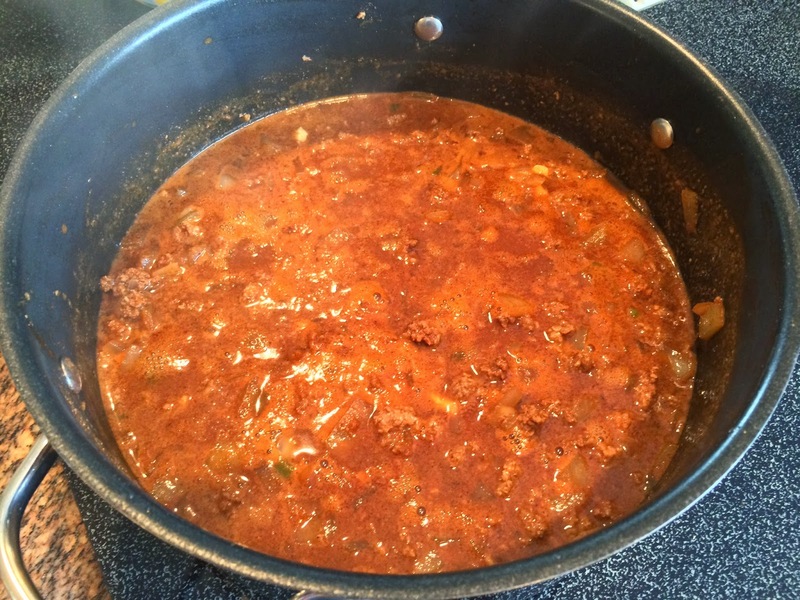 I made a similar chili recipe from Hilah Cooking. 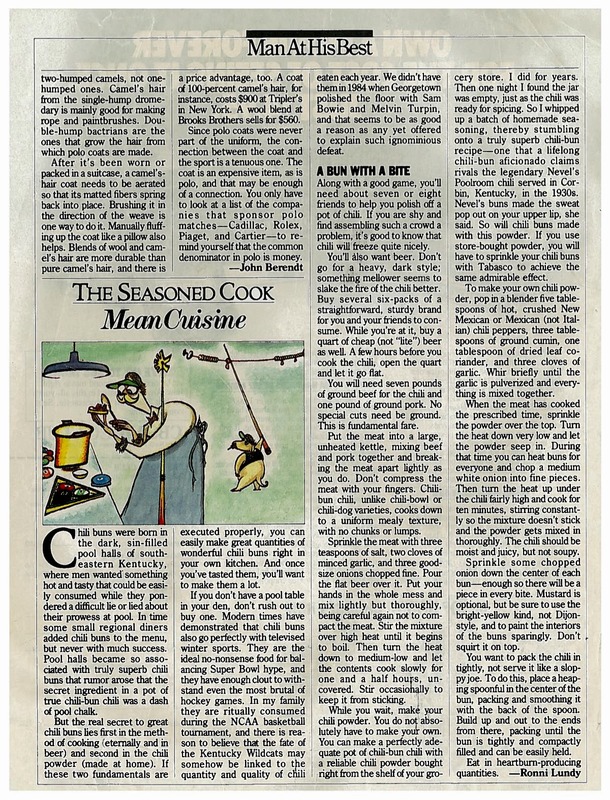 Hilah's recipe is intended usually to be a topping for chili dogs. I thickened it up a bit by using a coarse ground beef, instead of a fine-grind hamburger ground beef. 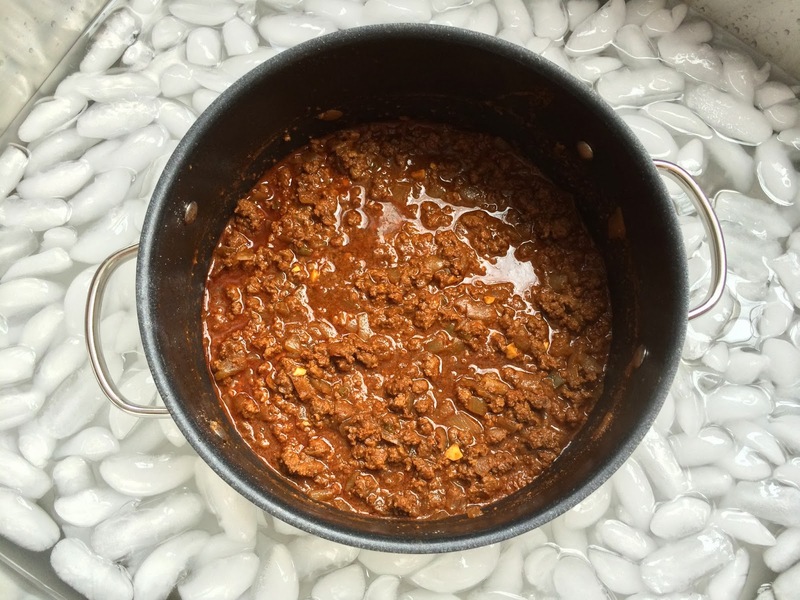 The Super Bowl is tomorrow, so I iced the chili down. It'll sit, covered, in the refrigerator overnight, letting the flavors mingle. Tomorrow, we'll heat the chili in the slow cooker and bring it over to Harry and Barbara's house with some chopped onion, grated Mexican cheese, and a jar of pickled jalapeño slices. Here it is cooked and chilling.